Every toddler loves keys and this specific set of keys is always a huge winner because it’s as close to the real thing as a toddler toy can get! There is a button that beeps and shines a light, in addition to the keys. Magnets are such a great toddler stocking stuffer! It’s not only fun for them, but also a great way for them to learn and an awesome distraction to keep them busy while you’re getting work done in the kitchen (assuming your fridge is magnetic!). This banana toothbrush isn’t an actual toothbrush, but it is an unbelievably popular toy that every toddler I’ve ever known has fallen in love with. So if you’ve got a young toddler on your hands and they don’t have this yet, it’s a perfect stocking stuffer for them! I honestly don’t know what I would do without snack catcher cups and your toddler will be even more excited by them! If you’ve never seen them before, they let your toddler carry around a snack and prevent the snack from dumping out. 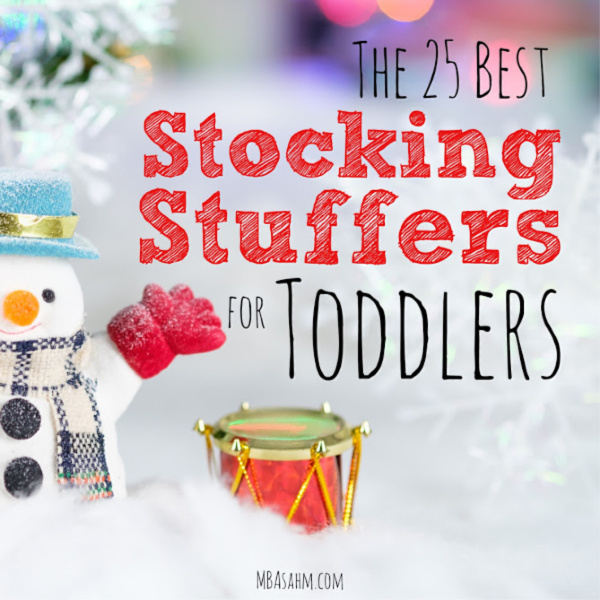 They’re cheap, they’re fun, and they’re an awesome toddler stocking stuffer! Is it a proper stocking if it doesn’t include socks?? This a great classic, something you need anyways, and ultimately a great stocking stuffer idea for toddlers! These socks were (and are) the absolute favorites for both of my toddlers (they make both designs for boys and designs for girls). They can actually learn to put them on themselves and they’re totally adorable. Sippy cups are so much fun for toddlers because they’re just learning to be more independent, so anything they can do without you, they LOVE. Hands down, my absolute favorite toddler sippy cup was the Lolacup. 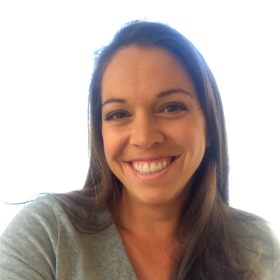 They don’t leak, they’re easy to use, and you can throw them in your purse or diaper bag and not worry about leaking. They are the real deal. Bows!!! If your toddler is a little girl, you just can’t. get. enough. bows. These are my favorite! They’re small, come in adorable designs, and have a ton of options. But there are just so many fun bows out there, so you really can’t go wrong here! Toothbrushes are another great toddler stocking stuffer because brushing teeth becomes a really fun concept for them as they start to get more and more of their own teeth. There are a lot of really cute toddler toothbrushes out there, so this is another easy one! Bath books are such a fun stocking stuffer for toddlers and another great way to make bath time way more fun! This is my daughter’s absolute favorite bathtime activity. I could honestly recite our bath books in my sleep. Her favorite is Wake Up, Magic Duck!, so if you don’t have it, give that one a try. Bath crayons are an absolute must for toddlers and they make perfect stocking stuffers! Most toddlers love bath time, so this is a great way to make it more fun and give them a chance to learn and experiment. Sometimes you just can’t beat the classics. And nothing excites a toddler like a good old fashioned ball! So have fun with this one and get them the toy that they’ll play with all day long. Fingerlings are one of the hottest new toys in recent years and they’re a blast for toddlers! These little critters are the perfect size for little guys to carry around and they actually move their heads and make little noises…like they’re a real little pet! My toddler already has a collection of them and she’s obsessed with each one. Just because it isn’t summer doesn’t mean that your toddler can’t find a fun pair of sunglasses in their stocking! Toddlers look so adorable in sunglasses and they’ll be all ready once summer comes. You really can’t go wrong with cars and luckily there are a lot of great toddler-approved cars that don’t have choking hazards AND have fun bells and whistles. These are the ones my toddlers were both obsessed with. They’re a huge hit. Slippers are one of my favorite toddler stocking stuffers because they’re just so unbelievably adorable. Not to mention that they’re USEFUL. Cold weather is just around the corner and slippers are perfect for hanging around the house! These are the ones my kids will both be finding in their stocking. So freaking cute. Winter is coming! This is the perfect time to get an adorable hat and gloves set for your toddler to enjoy with all the winter fun that is ahead. Bath Stickers are a must-have bath toy for toddlers and they’re perfect for stockings. They’re not only fun for building and playing around, but they’re also a great way to introduce your toddler (and soon-to-be preschooler) to numbers, letters, and colors. Not surprisingly, kids love changing the color of their bath water and that’s exactly what these Bath Dropz do. What is really fun about these is you can start to teach them about making new colors by letting them add two different colors to make a third. It’s a lot of fun! Stocking stuffers for toddlers are so much fun to shop for, but the best part will obviously be Christmas morning! Enjoy the holiday with your little one! 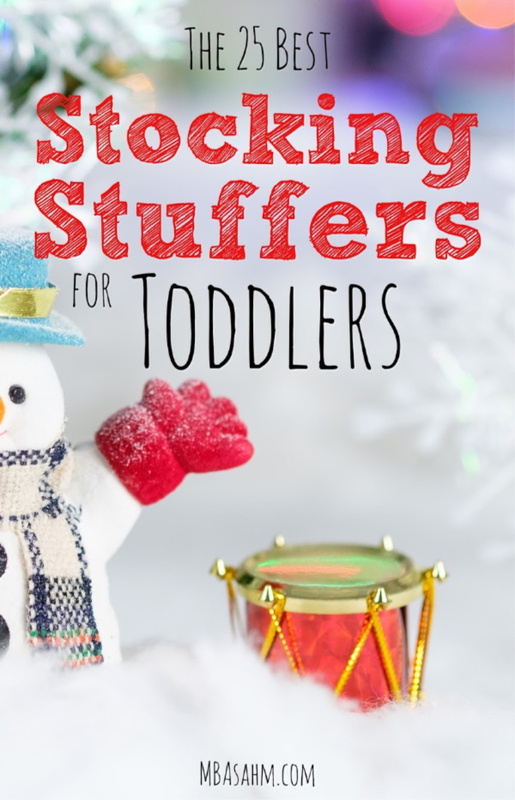 I hope these ideas for toddler stocking stuffers came in handy.